Now, I know what you’re thinking. Reviewing this place twice is ok, but three times is excessive. 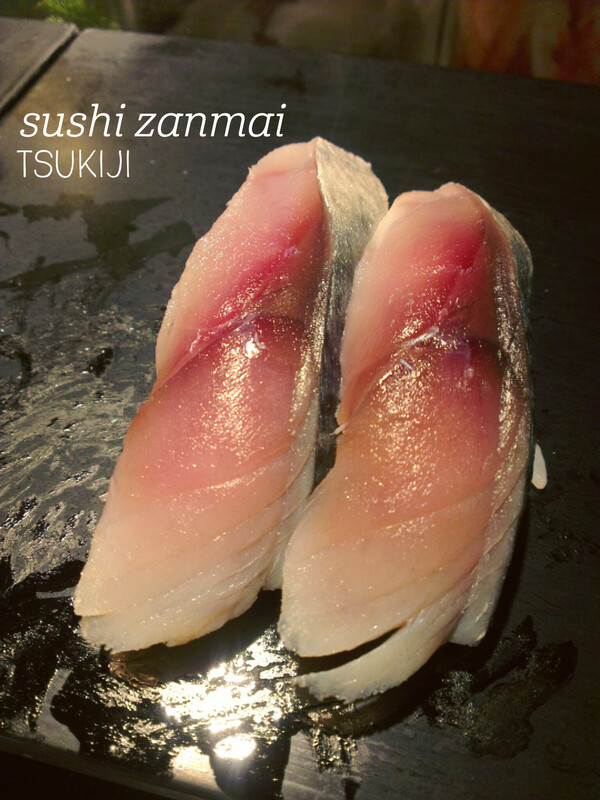 Well, in my quest to share the best sushi experience in Tokyo, I did venture away from my beloved Sushi Zanmai in Akihabara and tried their flagship Tsukiji store. So, here’s how it went. Unlike in Akihabara, this Sushi Zanmai is multi-storey (oooooh), and at lunchtime it was pumping. We waited about 15 minutes for a table, and then were taken upstairs. Unfortunately our sushi chef was under the pump and had three groups of diners to look after at the counter, along with the table orders, so service was very slow. We started out with green tea and miso, sharing a bowl of the seaweed miso (so good). Next was the tempura squid, which was quite a good size portion and had a really lovely crispiness, along with plenty of salt to season. Then it was sushi time. 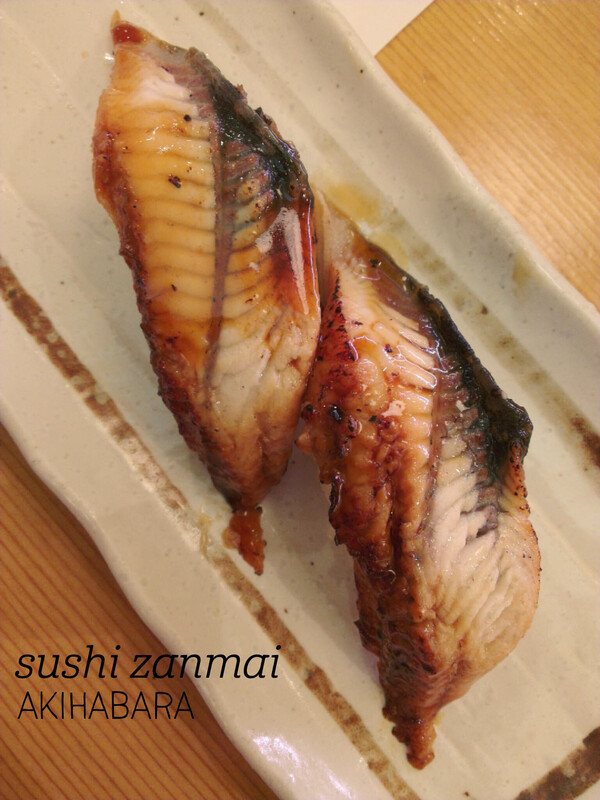 We went for the classic favourites, having multiple serves of aburi salmon, before another go at the saba – sadly there was a bit too much wasabi on our pieces to fully enjoy this one. The unagi was excellent though – it just melted in your mouth. The verdict? Stick to Akihabara, or go at an off-peak time. 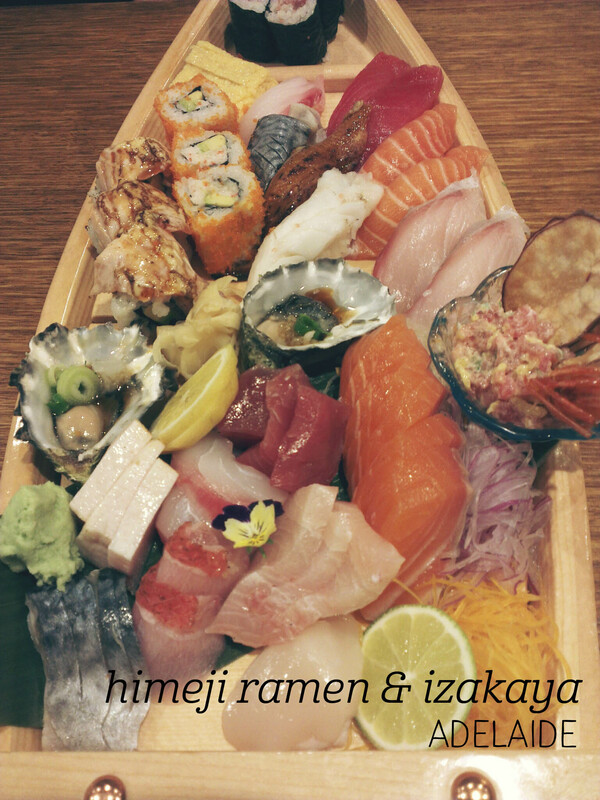 I was super pumped for ramen at Himeji, but when Mum and I saw the Funamori (sushi and sashimi boat, $62) on the menu, we couldn’t resist. Dad ordered the Oyakodon (chicken and egg rice bowl) and a couple of bao to try. We sampled it while waiting for our boat – the oyakodon was beautiful, with lovely, tasty rice, perfectly tender chicken and sweet onion. Then our boat arrived! Oh my! 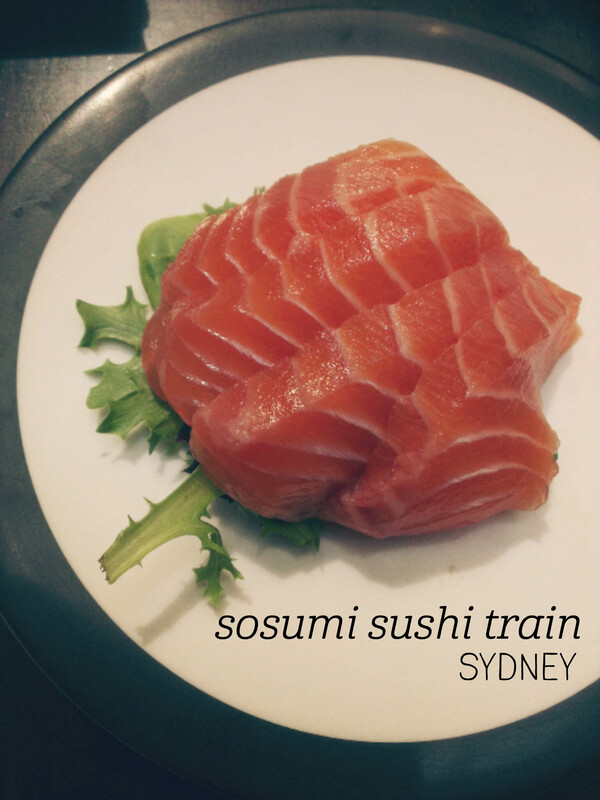 So full of sushi and sashimi and beautiful seafood! We didn’t know where to start! All of the fish was fresh and flavoursome, and the sashimi cuts were all excellent, except for a couple of slightly too-thick and chewy lower-grade tuna pieces. The natural oysters were lovely, and the aburi salmon rolls were a highlight with perfectly seared outers. My favourite was actually the ceviche, served with a yam (?) crisp and deep-fried prawn head. It had a wicked amount of spice and excellent texture, especially when paired with the chips. Our favourite nigiri sushi was the unagi (eel), with the thick sweet sauce on top, but the salmon was excellent all around. We were so full by the end – such an indulgent feast and excellent service! Highly recommended. Japanese food is my absolute favourite, and so for my birthday, Mum and I had the most amazing dinner at one of the best Japanese restaurants I’ve been to in Australia; Shoya. We sat at the sushi bar, and ordered a la carte, starting with the deluxe sashimi entree. The sashimi here is just as good as any place in Tokyo, and I was gobsmacked by a) the beauty of the ice sphere it was served in and b) the perfection of the salmon, tuna, scallop and kingfish sashimi pieces. Basically, everything melted in your mouth and I could have happily eaten another three serves. Swoon. Next was a piece each of the aburi salmon and unagi (eel) nigiri sushi – the salmon was tender and tasty, but the unagi was the stand-out, with a huge, meaty piece grilled to perfection atop the rice. We then enjoyed the salmon onigiri, which was actually huge and very filling – the flakes of salmon were perfect and there was the occasional pop of heat from a red peppercorn within. Finally, we shared a plate of the agedashi tofu, which was just the right level of crispy on the outside and pillowy-soft inside. Pure birthday bliss. My love of sushi is pretty well known, so when I was back in my old stomping ground in Tokyo for a day, my friend and I stopped in at the local standing sushi bar for lunch. This branch of Uogashi Nihon Ichi is located on one of my favourite streets in Tokyo – Kagurazaka-dori. It’s an old geisha quarter, now full of traditional stores and restaurants, and is a bit of an institution – the street even has its own annual festival! On entering Uogashi, we were shown to a space along the standing bar. Like a sit down sushi bar, each station has its own cup of tea, soy and hand towel, just no chair. We ordered a range of different pieces, including tuna, salmon, kingfish and a couple that I had no idea what they were, but tasted amazing! 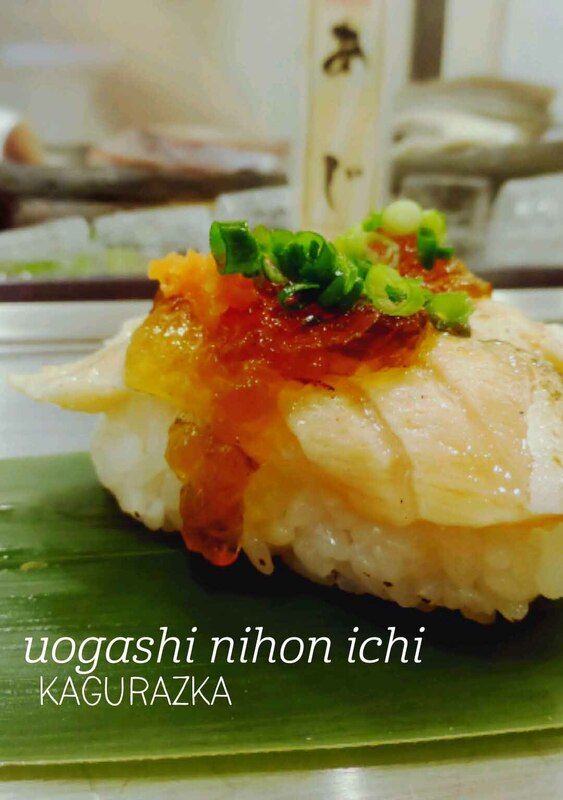 The sushi-san gives you the option of soy (shoyu) or salt (shio) to put on the piece, and there are different recommendations for different fish. 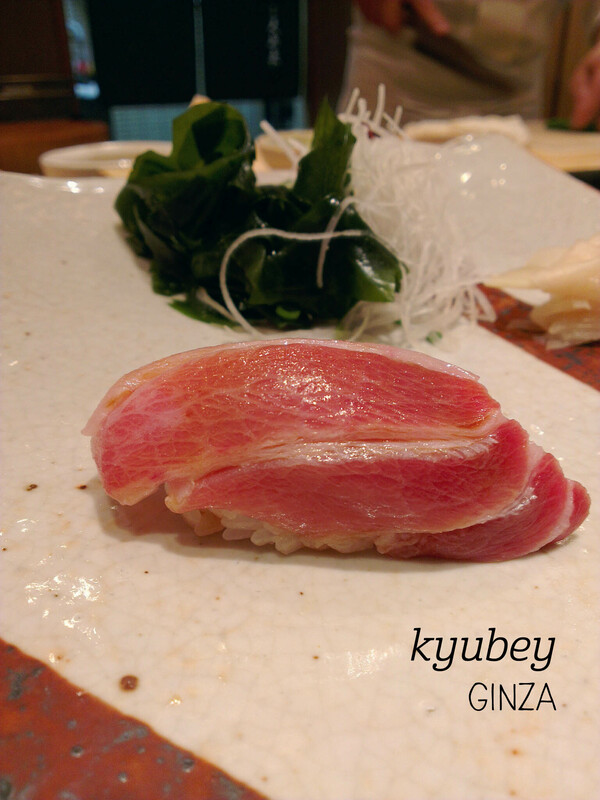 Each piece was reasonably sized, although a bit smaller than the nigiri at Sushi Zanmai. As usual, my favourite was the aburi (seared) tuna, but really, it’s all good!